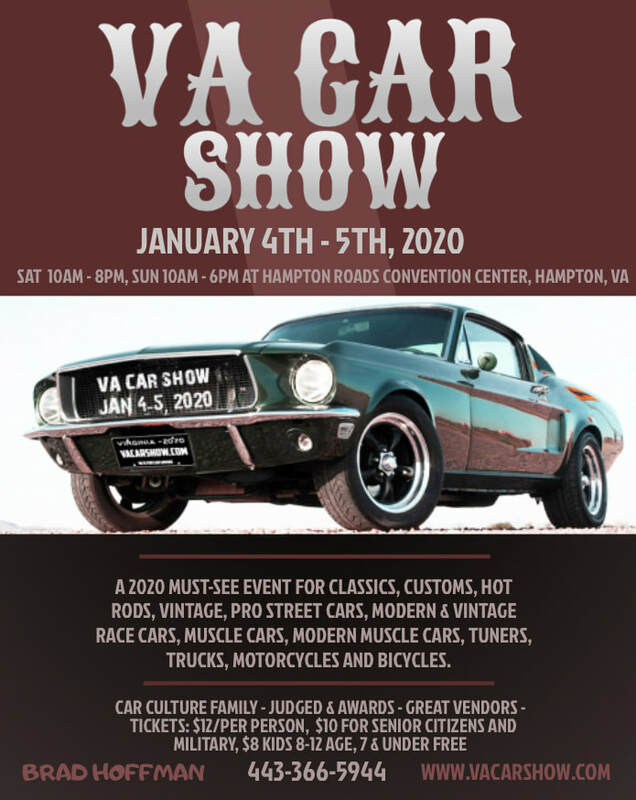 The seventh annual VA Car Show is coming to the Hampton Roads Convention Center Virginia January 4th and 5th 2020. Grab your friends and family and enjoy an amazing showcase of the hot rod culture. 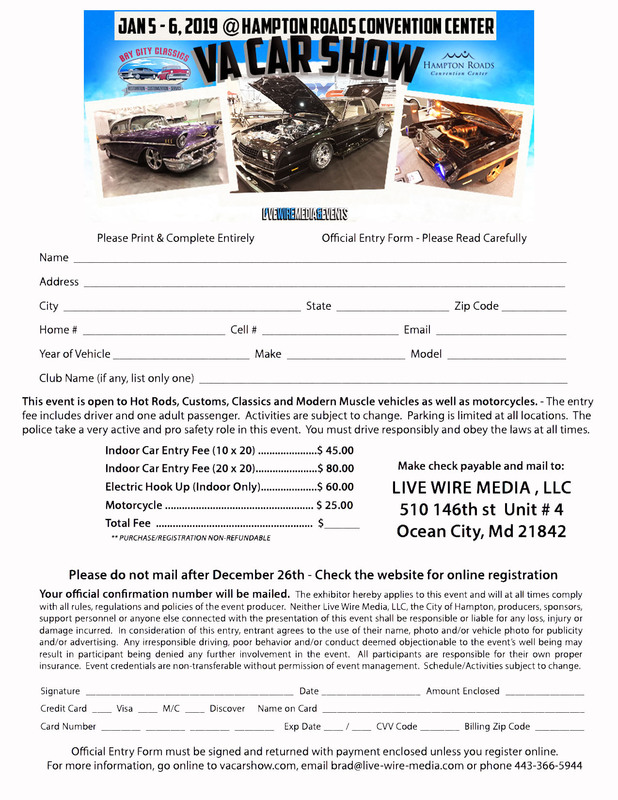 Custom builders, manufacturers and regional and national car clubs from the car world will be there. We'll have music, DJ's, Kids Zone, Free Giveaways and much more. Virginia is for car lovers. We pride ourselves on showcasing the best automobiles in the region for this show. The display is made up of the area's most premiere Classics, Customs, Hot Rods, Vintage, Pro Street Cars, Modern & Vintage Race Cars, Muscle Cars, Modern Muscle Cars, Tuners, Trucks, Motorcycles and Bicycles. 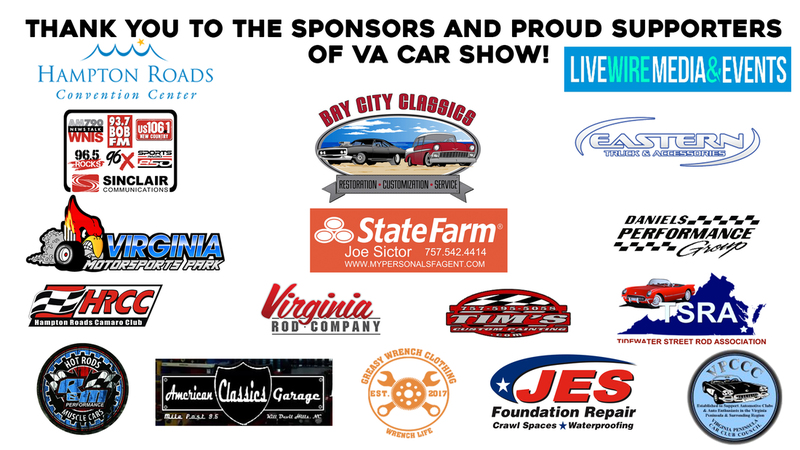 The Virginia Hot Rod & Custom Car Show is only made possible by the significant support by the car clubs and car owners of Virginia. There will be vendors on hand showcasing their products and services. It is the region's premier indoor custom automotive event. We can't wait to see you there! Embassy Suites, Hilton Garden Inn. Register your vehicle by clicking below. Online registration is now open.